Join with friends in our community and like-minded people around the world for a once-in-a-lifetime gathering to support and celebrate the many cooperative and cross-border efforts between individuals at the grassroots level with the hopes of building a new, sustainable, and better Middle East. Best selling author Naomi Regan discusses justice as the main theme of all her books, including the newly published “The Tenth Song”, in which the search for justice leads to a desert commune in which people of different nationalities search for a new way of being. Selections from Rechov Sumsum, the Israeli incarnation of Sesame Street, focusing on building tolerance and understanding between diverse communities in Israel. Join the New Israel Fund’s New Generations and other young leadership groups for a Shabbat dinner and discussion with Mira Awad and Clara Khoury. Arrive earlier for a pre-dinner glass of wine and view of the exciting Israeli movie poster exhibit, Growing Up at The Movies: Israeli Cinema 1930s-2000s. Dr. Leonard Grob of Meretz USA in conversation with renowned Historian Benny Morris, and News Correspondent Aharon Barnea, following the screening of the final episode in Haim Yavin’s travelogue ‘ID Blues”. Join Ha’aretz Editor Gideon Levy and Media Researcher Dr. Khalil Rinnawi for an exclusive event, featuring a conversation about Israel’s public face in the media, moderated by Amy Goodman, the Host and Executive Producer of the award winning news program Democracy Now! A comprehensive display of classic and modern Israeli movie posters from the early days of emerging Israeli cinema, through the growth of the 1970’s, until the boom of the last decade. Other Israel themed posters are highlighted throughout the exhibit, providing a fascinating review of Israeli society and culture as portrayed in films throughout the years.  Prior to the screening of The Office (Ha’Misrad) join the Israeli Business Forum of New York for an exclusive wine and cheese reception with the series’ head writer, Uzi Weil. Uzi Weil is one of the most prolific writers working today in Israel. He has published novels and short stories, and written some of the most talked about Israeli TV shows in the last 15 years, include B’Tipul, The Chamber Quintet, The Strip, and now the Office. Renowned Israeli-Palestinian singer / songwriter Mira Awad meets Jewish Israeli composer, Tamar Muskal, to bring a collage of compositions. Songs from the album “Bahlawan/Acrobat” by Mira Awad with music from “The Yellow Wind” by Tamar Muskal, as well as new material debuting at this concert. For Fluent Hebrew Speakers Only. A special Free screening of an episode of Arab Labor (Season 2) in Hebrew & Arabic with no English subtitles. Followed by a Q&A, in hebrew, with creator Sayed Kashua. On display October 28th – November 18th at Columbia University Kraft Center for Jewish Life. Free & Open to the public.